the eye of the beholder. 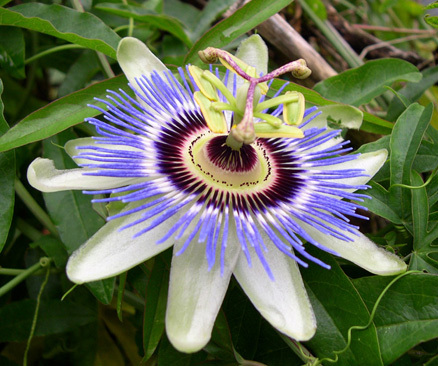 I planted a passion vine specifically to entice female Gulf Fritillary butterflies, who taste the leaves with their feet, and if they pass the taste test, lay their eggs. 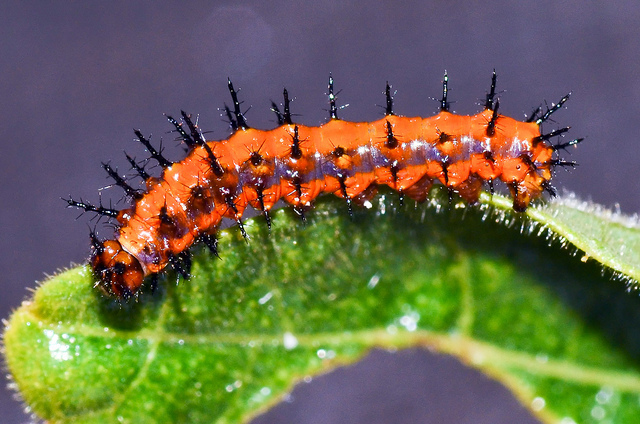 The eggs hatch into orange caterpillars sporting black spikes. 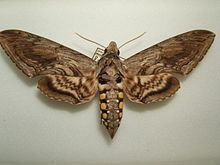 The caterpillars eat the leaves and, after a few molts, form a chrysalis that looks like a dead leaf. I saw one for the first time on a vine that attached itself to the window screen on the north side of the house. 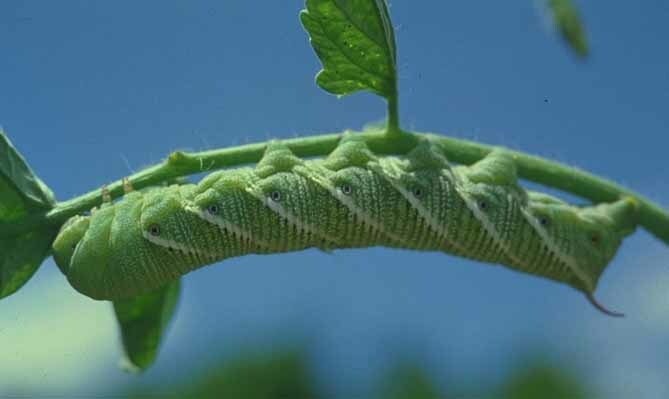 Meanwhile, a few feet away, tomato hornworms are busy munching away at my husband’s tomato plants. Their mothers sneaked into the garden under cover of darkness and laid their eggs on the underside of the leaves. It’s not that my husband likes killing things, but his love of tomatoes far outweighs my love of insects. I leave the squishing of caterpillars to him, while I sip my coffee and fret over my little orange and black babies. Will they be eaten by spiders or will wasps lay their eggs on their soft bodies? Will a butterfly emerge from the chrysalis or will it shrivel on the vine? Either way, it’s a jungle out there. Interesting that you write about spiders eating the caterpillars. 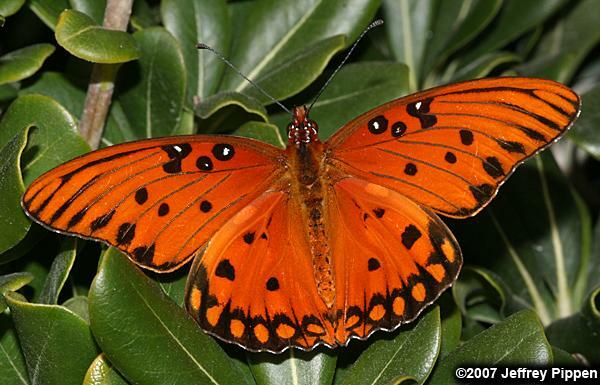 We have a passion vine and the Gulf Fritillary came on by last Sunday to lay eggs. We kept an eye on the eggs and they hatched into tiny caterpillars but we also have a few spiders on our vine. Sadly the caterpillars have now all gone. Looks like I may have to re-locate those spiders somewhere else, maybe in some one else’s garden. I have photographs from the butterfly laying the eggs till the eggs hatched. if you are interested I can send them to you. Would love to see the photographs. Something got to the chrysalis so I never got to see the butterfly emerge. But other butterflies keep laying eggs so I am ever hopeful. I see the spider webs interlaced with the passion vine so I suspect spiders are eating some of the caterpillars. Sorry, just seeing this message. I will forward you on the photos.